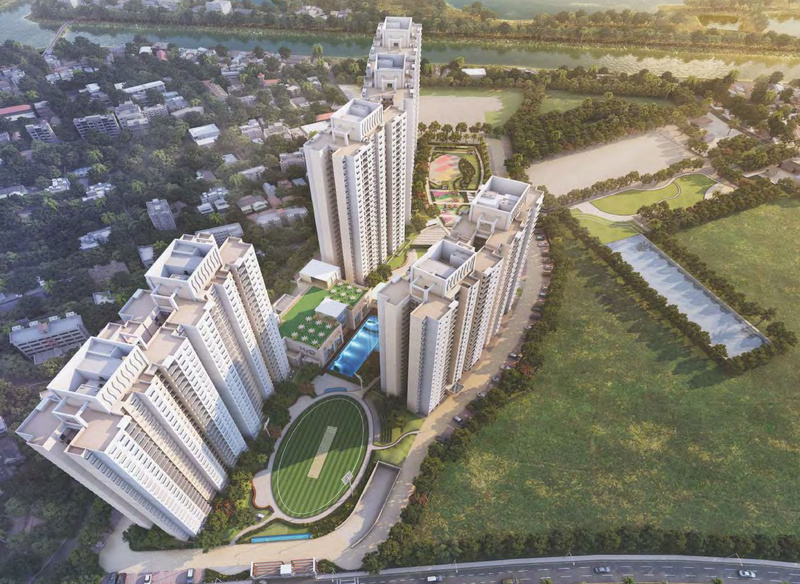 Roping in the latest from India and around the globe, there is a brand new architectural marvel that is creating new benchmarks in the real space in the city of Kolkata. 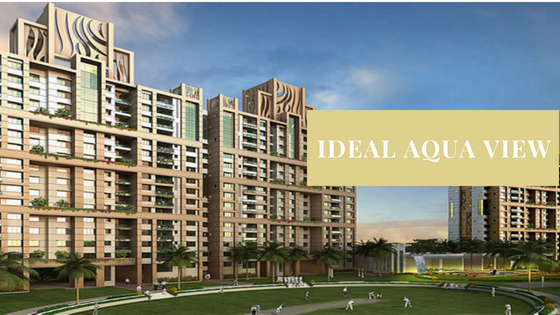 This one is called Ideal Aqua View Kolkata and what makes it different is the fact that both Hafeez Contractors and Site Concepts of Singapore have given their services for design and landscape respectively for this project. The Property in Kolkata is thus contemporary and classy! Proudly located close to the biggest IT hub of Kolkata, viz. Salt Lake’s Sector V, the project is leisurely laid out over 368 cottages of prime land in the Mahishbathan area of the metropolitan city. 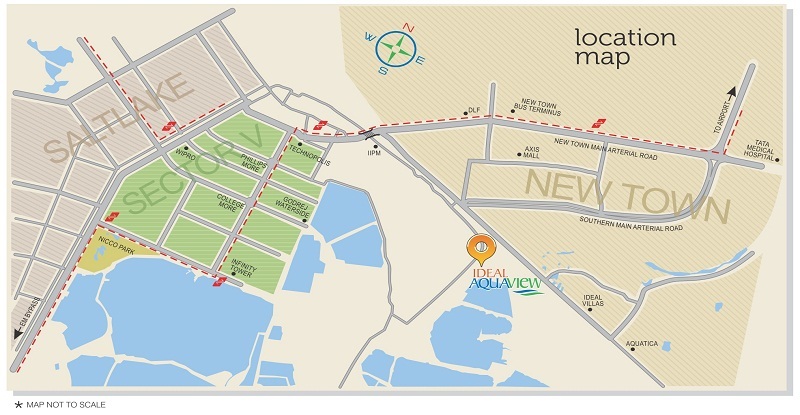 The site is also close to New Town and is just 15 min away from the airport. Add to this a prized neighborhood dotted with several business hubs, banks, schools, malls, entertainment zones, utility centers and a robust transport network – you have a location that stands unmatched in the region’s vicinity! Beautifully conceived as an 80% open development, the project exudes an aura of grandness that cannot but leave you spellbound! Luxurious in space and finish, the exquisite apartments here are fully air-conditioned. Focused on undiluted privacy, these alluring living spaces come complete with branded fixtures when it comes to electrical and bath fittings. Not to miss are the large aluminum-framed doors & windows that promise a maximum penetration of natural light and free ventilation. And, to talk about the facilities within this imposing complex, you could not have asked for more! For, lying within this splendid development are several options for lifestyle, fitness, health, relaxation, and rejuvenation. To name a few, there is a gym with the latest gadgets for a fitness workout, a massive cricket field spread over 20,000 sq. ft., a clubhouse rich in features, a big community hall for family functions & celebrations, blue-water pools for a fresh dip and a fitness swim, playing courts for games like badminton & squash, and a room each for billiards & indoor games. The Ideal Aqua Value Price can be made available on request. It is a great choice and there are many payment plans to choose from here. Also, there are approved loans for great financing options. The Ideal Real Estate Developers behind the concept have over 35 years of experience with over 5200 happy customers. The group is creating a number of projects in realty segments of commercial, hospitality and residential segments. The existing projects have been accoladed for their high functionality, practicality and stylish design. Book here and welcome to the Ideal family! Cricket ground spread over 20,000 sq. ft.